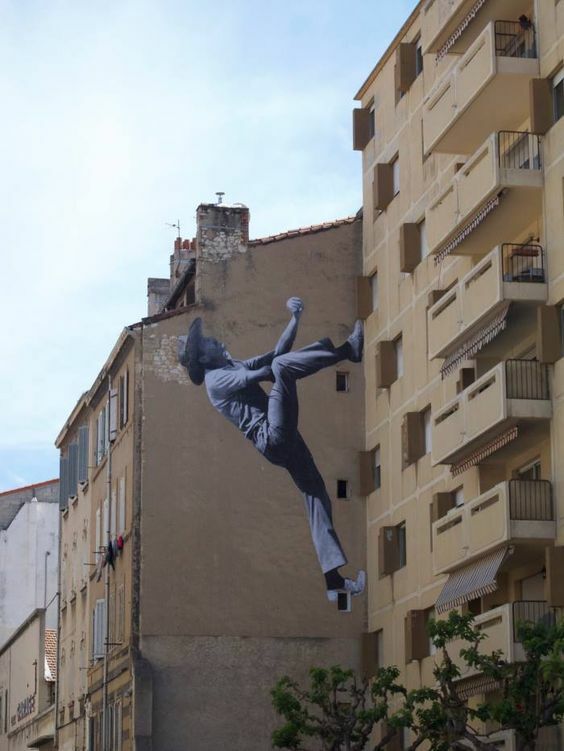 It is very amusing 3d street art about a man that stands in upward direction on the front face of building. Street artist make it real by a shadow of a man from the sun with slight angle on the legs and tummy with dark color. Hat on the head of a man make painting good-looking for viewers. In fact man is not standing on the front face of building it is actually painted with proficiency on the side wall adjacent to the building.